Members of St. Paul parishes have embraced Gospel values of caring for the sick this year by receiving training to understand those with Alzheimer’s disease and other forms of dementia, as part of a neighborhood-based program. Parishioners at Nativity of Our Lord are among the 650 who completed a free hour-long program called Dementia Friends in St. Paul, learning what dementia is, its signs and how to interact with people who have the disease, which include 88,000 Minnesotans older than 65. Modeled after a program started in England, Dementia Friends is being offered at St. Paul community organizations, businesses and faith communities, including Nativity of Our Lord and Lumen Christi. It was developed locally by St. Paul Neighborhoods, a collaboration seeking to raise awareness and create supportive environments for those affected by the disease. It involves five neighborhoods and representatives of government, health care, faith communities, senior services providers and other community partners. St. Paul Neighborhoods is linked to a statewide program enacted by the legislature called ACT on Alzheimer’s. Besides St. Paul, 31 other Minnesota communities are involved in ACT on Alzheimer’s. In addition to Dementia Friends training, St. Paul Neighborhoods also offers a longer program called Dementia Champions that prepares participants to lead the training themselves. The potential to help people with dementia is bringing the community together, said Meghan Constantini, team co-coordinator for ACT on Alzheimer’s. “There’s quite a bit of excitement in the community regarding this work because so many people are touched by dementia,” she said. Dementia Friends training is open to anyone wanting to learn how to interact with people with dementia or serve the community. Dementia Friends participants range from those who have a spouse with dementia to a Girl Scout troop volunteering at a nursing home, Constantini said. “In this day and age when we’re tuned in to our devices and tuned out from others, I think that it’s anybody interested in networking, getting to know others and learning a practical way to help people in their community, especially older adults, who have new and growing concerns,” she said. 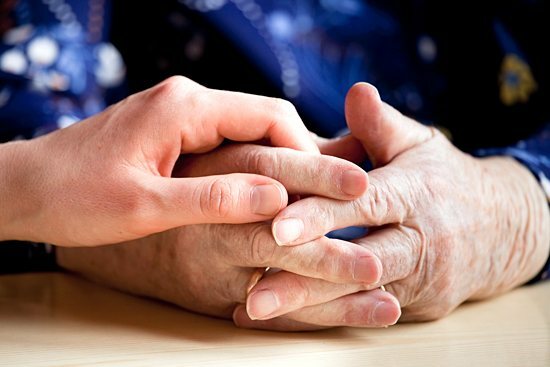 Caring for people with dementia involves being a gentle, calming presence by not arguing or correcting, and responding patiently to questions, Shatek-Suek said. It’s also greeting them instead of avoiding them, and providing respite for tired caregivers. Community members who understand forms of dementia can calm the fears of disease sufferers, Constantini said. Part of that is being Christ-like, Shatek-Suek said. “It’s amazing in the depths of their disease how they can be touched by their faith,” she said. Shatek-Suek got involved with St. Paul Neighborhoods after visiting parishioners with the disease and realizing how it could impact the parish. She has led more than 11 Dementia Friends and Champions training sessions at Nativity this fall. Having gained parish council and Nativity School support, she hopes parishioners and students will take the training. This month, Karin Barrett is leading Lumen Christi’s first Dementia Friends training session for extraordinary ministers of holy Communion to the homebound, and she hopes to expand the training. Dementia is more invisible than other forms of illness, said Barrett, the parish’s director of spiritual care. The goal is not just to make parishioners aware that people have Alzheimer’s, but also create a community that supports caregivers who need a lot of help, she said. While St. Paul Neighborhoods organizers are in the process of evaluating the program’s 2014 efforts, they hope to continue offering the training in 2015 through community education, libraries and faith communities, Constantini said. They also are considering ways to share Dementia Friends training and materials with other ACT communities. Understanding the trials of people with dementia will benefit the faith and broader communities, Shatek-Suek said. “My hope is raising awareness of what dementia is so that people can stay as active as they can and stay in the community,” she said. For more information about St. Paul Neighborhoods ACT on Alzheimer’s, contact Meghan Constantini at (651) 695-5106 or mconstantini@preshomes.org, or visit http://www.ACTonALZ.org.